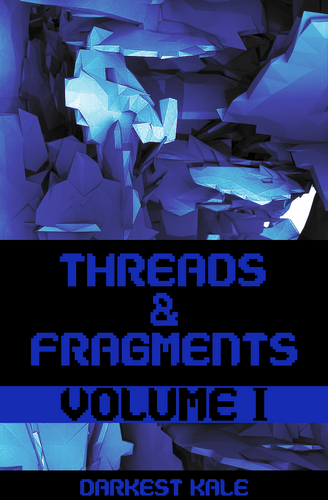 Threads & Fragments is a light writing project, revolving around small passages and fragments of story. Some will be linked, others will be isolated. Some will eventually crossover and may form a long term narrative. At this point in time, I'm not sure what will happen, and that's partially the point. This is Volume 1, of hopefully many. It is 5,813 words long, and contains the first 51 fragments. It is not intended as a long read, but instead the first step. The book is available in three file formats: Epub, PDF & MOBI (Mobi files verified by other users, not by writer as he does not have a mobi device!). This content includes swear words, and the project may eventually include adult content. Some discretion is advised.